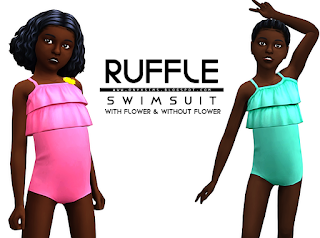 Two swimsuits for your girls today, both ruffled, one with a flower and one without the flower. Each swimsuit is its own mesh, so you don't need one for the other to work. 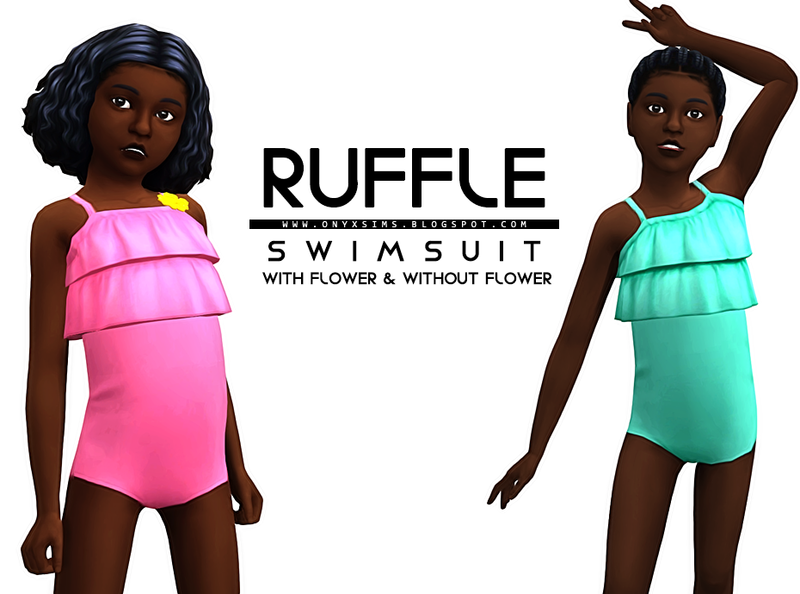 Both swimsuits come in the same 12 swatches, if you'd like to recolor them, I've included the psd as well.